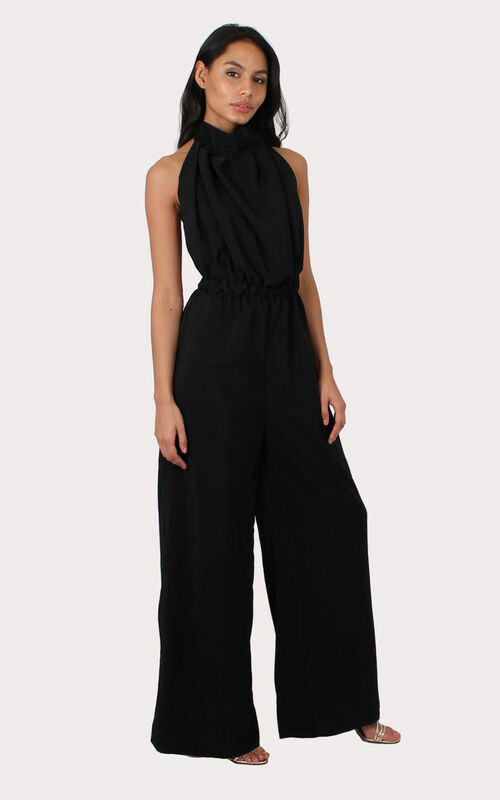 Black jumpsuit made from crepe de chine fabric. It is very light and floaty but not at all see-through. The Maya jumpsuit has wide legs, an elasticated waist, a halter neck tie and is backless. The gathered top allows the wearer to go bra-less if necessary. The halter detail ties around the neck and is adjustable to fit over a small or medium sized bust.